There I was, sitting on my couch with my computer on my lap, desperately trying to focus on the piece I was writing, when the neighbor’s dog started barking. Wildly . . . and for an extended period of time. A really long extended period of time. The neighbor’s dog rarely barks, especially for long stretches. This was not a normal event. No, I didn’t say it out loud. I certainly didn’t put my face to my window screen and holler it like I’d wanted to at that moment. I just thought it. And then I froze. Wow, I thought. I’m a perfectly nice person. And that’s a perfectly nice dog. Yet for an instant there I could have been perfectly happy doing something very not nice to that sweet animal. How in the world does that happen? Because perfectly nice people sometimes have bad thoughts, that’s how. They just don’t act on those thoughts. Normally. But what about on those abnormal days, under those abnormal circumstances, when all the right buttons are being pushed or they feel threatened in some manner or stressed out or they’re particularly hot or they need or want something very, very badly? Indeed, sometimes, when all the factors are just so, nice people can and do act on bad thoughts. Which is precisely why nice people can make such great antagonists in fiction. Think about it. Some antagonists seem perfectly nice when you first meet them. They can have very obvious moral centers. They might even be friends with the protagonist—or would be, under different circumstances. But in the circumstances you devise to get and keep your story rocking, that character provokes your protagonist, challenges him or throws roadblocks in his path or pushes him into situations of actual physical peril. The antagonist causes wonderful, juicy conflict even if he still seems inherently nice otherwise. This duality makes that antagonist intriguingly complex, and intriguingly complex antagonists are tremendous fun to read. These are the Bad Guys you remember long after you’ve finished a book. If you want your antagonists to be stick with readers, they should be drawn as deeply as your main characters. Never settle for stereotypical antagonists, or those who antagonize simply because it’s their job to do so. You’ve worked hard to populate your story with rich characters; don’t let a cardboard cutout villain slip in. Strong antagonists are layered, unpredictable, and even sympathetic characters. They give readers something to chew on. Give your antagonist goals and dreams. The best antagonists are those who hinder not because they’re stereotypes with jobs to do but because they’re pursuing their own dreams and struggling with their own inner conflicts. They’re not necessarily trying to crush anyone; they’re simply trying to attain their own goals. The protagonists are just in their way. Let your antagonist think he’s being good. A good bad guy needn’t be despicable; he may just have conflicting or intrusive goals that pit him against your protagonist. A well-meaning father, for example, may want his son to join the safe, financially rewarding family business, whereas the son wants to be a rock star. Dad’s no ogre—but he is a powerful antagonist. Give your antagonist a higher purpose. Maybe Bad Guy thinks being harmful to one person is okay because he’s acting for the sake of the greater good. Consider a cadet in a military prep school who wants to weed out the “bad eggs” for the sake of his school and his fellow loyal cadets. It’s good to uphold your school’s values and reputation, right? Only if you’re the one doing the weeding. Maybe your antagonist has a different value system than other characters and doesn’t see what he’s doing as wrong. That doesn’t make him a criminal. It does, however, make him a detriment to the protagonist. Consider the young lady in the first-class cabin who runs her young maids ragged through the entire voyage. To her, that’s just how you treat the help. To your maid heroine, that spoiled brat is a force of evil. Let him give in to the Dark Side. Antagonists often embody traits that readers struggle with themselves, allowing readers to see what would happen if they were to give in to the bad impulses and emotions. Like, say, hollering ridiculously at the sweet dog next door for barking about a bunny in the bushes. Not everyone can keep their halo straight all the time. And honestly, sometimes it feels good to give in to the bad impulses. Sometimes it serves our ends. Only, for some people, “sometimes” can become “always.” It’s powerful to watch an antagonistic character degenerate morally through the course of the story. Antagonists are valuable tools for pushing your protagonist toward triumph or a new shade of wisdom. Both readers and writers can come learn as much from these so-called bad guys as they do from the star—and have a particularly great time along the way. 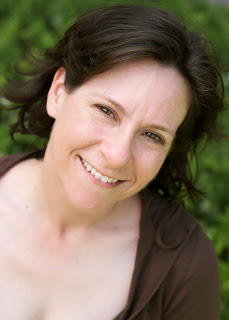 Deborah Halverson is the author of Writing Young Adult Fiction for Dummies and founder of the writer’s advice website DearEditor.com. 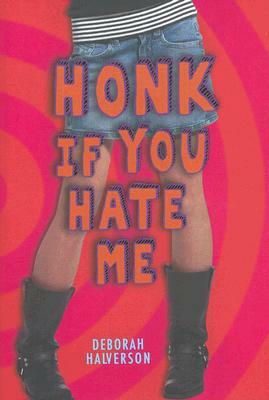 Deborah edited children's-YA fiction with Harcourt Children's Books before picking up a pen to write the award-winning teen novels Honk If You Hate Me (Delacorte, 2007) and Big Mouth (Delacorte, 2008). 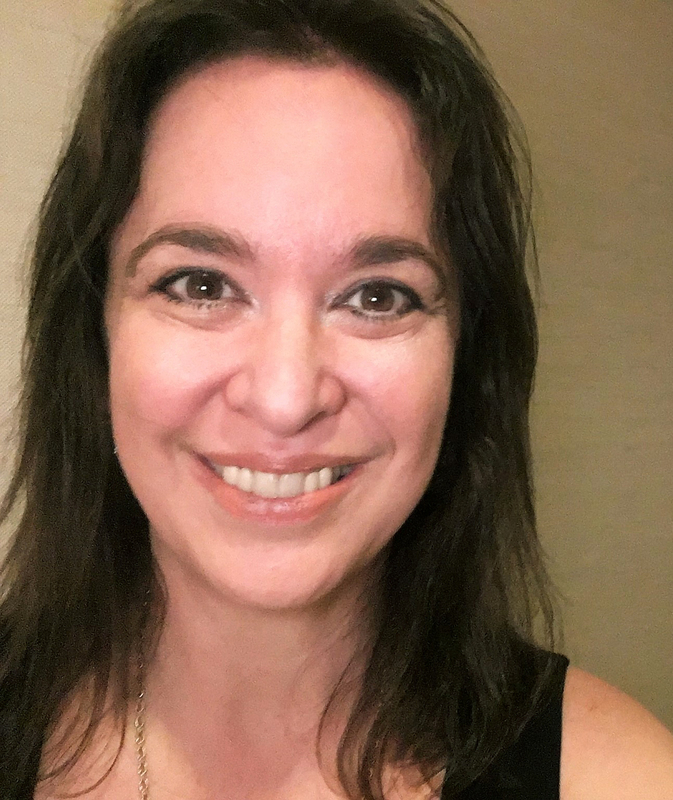 Deborah’s new book Writing Young Adult Fiction For Dummies hits stores July 5, and articles include "Cynthia Leitich Smith on Paranormal Fiction: More Than the Monsters." Deborah is celebrating the release with a seven-day virtual book launch on DearEditor.com starting today. From June 29 to July 5, she’s offering daily “Free First Chapter Critique” giveaways, free downloads, excerpts from the book, and profiles of the 13 authors (including Cynthia Leitich Smith), editors, and agents who contributed sidebars to the book. As the grand finale, she’s giving away a “Free Full Manuscript Edit” on the final day of the launch. Click over to DearEditor.com to check it out. 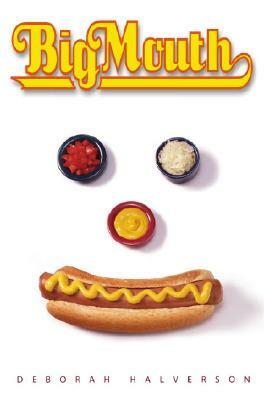 Enter to win one of two signed copies of Writing Young Adult Fiction for Dummies. To enter, comment on this post, and include an email address (formatted like: cynthia at cynthialeitichsmith dot com) or a link to an email address. 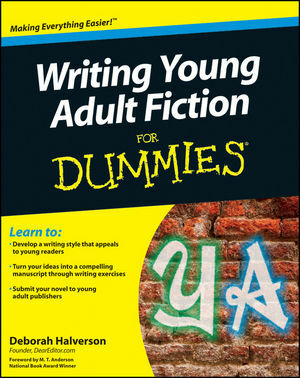 Or you can email Cynthia directly with "Writing Young Adult Fiction for Dummies" in the subject line. Author-sponsored. Deadline: July 15. This giveaway is for U.S.-Canada readers. Love these tips! Years ago, I wrote down a quote (forget who said it) that I keep in mind when writing..."All of us have secret thoughts that would shame hell." Definitely your neighbor. Mine, too, no doubt. And that's a tremendous reminder of the power of secrets in stories. In my next novel, I introduce a handful of characters, each of whom is keeping a significant secret that informs their individual arcs within the greater whole. Thanks for chiming in! Writing my antagonists has been the most fun, especially since, in my current ms, they are ambiguously bad, and the mc has to deduce which one is the real villain. Lily, I find writing antagonists somewhat more freeing, oddly enough. I like that your story has a psychological mystery element. That always keeps me turning pages. Wow! Wonderful tips for antagonists. I love how my villain and my hero could be the same guy if they had taken different decisions. Thanks for the chance to win the books too! Yamille, I'm so glad you found the post helpful. I did too! Denece, best wishes with your revision! Have fun introducing those layers! Thanks, Cynthia, not only for hosting my guest post today but for you FANTASTIC article in Writing Young Adult Fiction For Dummies! Wow, that's an awesome quote, Cathy. Lily and Yamile, I'm right there with you in finding antagonists fun to write. One reason, I think, is because we're so willing to let their flaws hang out. We tend to walk a finer line with protagonists as we try to keep them likeable. It's a tricky balancing act, that's for sure. I have such a weakness for warped humor.... Sounds great. Great post - thank you! I often overlook the antagonist when I'm too busy trying to flesh out the MC. Very useful info here! Deborah, thank you for sharing your thoughts! It was an honor to contribute to Writing Young Adult Fiction for Dummies! I can't wait to pour through it myself. And Dawn, I think that's something a lot of us do. I often do an exercise with students where they write a pivotal scene from their antagonist's point of view. You may want to give that a shot. Ooo, I like the idea of writing a scene from both my protagonist's and my antagonist's point of view. Robyn, I hope it works for you. It can also be illuminating for other significant secondary characters. Sophia, that's interesting--the idea that the antagonist is more active and therefore more compelling. By the way, your significant other sounds pretty fascinating, too. Thanks for chiming in! What great advice, and things I can apply to my own writing immediately. Thanks Deborah, for the post, and Cynthia, for hosting! Great tips. Perhaps we all play the antagonist at times, though we may not be aware of it--and how much more real our characters will seem if the same is true for them. Glad to hear it, Beth! Happy writing! Great advice. I'm in the plotting stages of a new ms, and this is so helpful in formulating my antagonist. Thanks for the post! Abby, best wishes with your new mss and antagonist! Love this. Let your antagonist think he's doing good--such a good tip and exactly what I'm working on in my WIP. Ooh, good point about no one wearing a halo all the time. Something for me to consider with my MG and YA characters. J, it's also not too hard for me to think of characters who can justify anything to themselves. Whatever the situation may be, they're the unfairly maligned martyr. Krysten, I've been writing angels for a few years now--good angels (not the fallen variety)--and I ended up deciding to punt the whole halo idea for symbolic reasons. Best to you both with your WIPs! Fabulous post, and wonderful information! Thanks!!! I'm making my first foray into YA, and this was really helpful. Also, thanks for a really great website and chance to win the book. :) This will be my giveaway entry! So glad you enjoyed it! Welcome to YA, and thanks for your kind words about the blog! It's so important to flesh out villains. Nothing is more boring than a 2D villain. There needs to be a reason why they do the evil that they do. Otherwise, it just falls flat. Definitely, Nicole! A question I always ask myself is: how does the antagonist mirror the protagonist? I love bad guys. My favorite is Iago, from Othello. Through the entire play, he's seen as a good guy, "Honest Iago" and all that. He's just so evil, I love him! Bad guys are fascinating. If I'm remembering right, Lucas was concerned at one point that kids were more attracted to Darth Vader than Luke Skywalker. But then D. Vader had a fascinating story all his own, too. That's good. Like "I should keep that in mind when I'm writing" good. That's probably WHY I loved Snape so much whilst other people were like "WTF?" Cool beans. Great idea for a Dummies book!! Deborah, thanks for the great tips on creating villains. I went to a conference this past May, and one comment on villains stood out: Villains are the heroes of their own stories. Your comments seemed to fall in line with that, in addition to providing great details and suggestions on how to accomplish this. Thank you! Definitely something to keep in mind, Jazmin, and I likewise found Snape fascinating! George, I think that's something we should keep in mind with all of the main and secondary characters (everybody but the walk-ons). Thanks for chiming in! I've heard many actresses interviewed who say that playing the antagonist is much more fun than playing the protagonist. 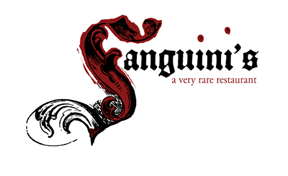 I've found that rounding out the antagonist tends to have a profound affect on the protagonist. It's fun to see what your main character does with an adversary who's not 100% evil. Thanks for hosting the giveaway, Cynthia! My pleasure, Natalie! On a similar note, a few years back, I hosted a workshop where the writers dressed up as their antagonists. They really got into it. Thanks for this giveaway, Cynthia! Right there with you, Fiction Chick. And cheers to the Lucasverse reference! Great tips! They're going straight into my notebook, just to make sure I don't forget them somewhere down the road. I'm having a blast with a bad guy in a series who starts as a hero and is gradually corrupted by his own desire to continue to be a hero after his time has passed. Anyway - cheers for the giveaway! These are amazing tips! Thank you for this wonderful article, I will practice what I've learned! Thanks for the wonderful tips. I like the idea of making the villain a little more human with his misguided values or conflicting desires.